James Akinjo made four straight free throws in the last 12 seconds to beat Campbell 93-85 on Saturday. Trey Mourning led with 27 points, 12 rebounds — both career highs — with his father, Hoya and NBA great Alonzo Mourning was in the stands. WASHINGTON (AP) — James Akinjo made four straight free throws in the last 12 seconds to cool off a suddenly red-hot Campbell team and preserve Georgetown’s 93-85 win on Saturday. 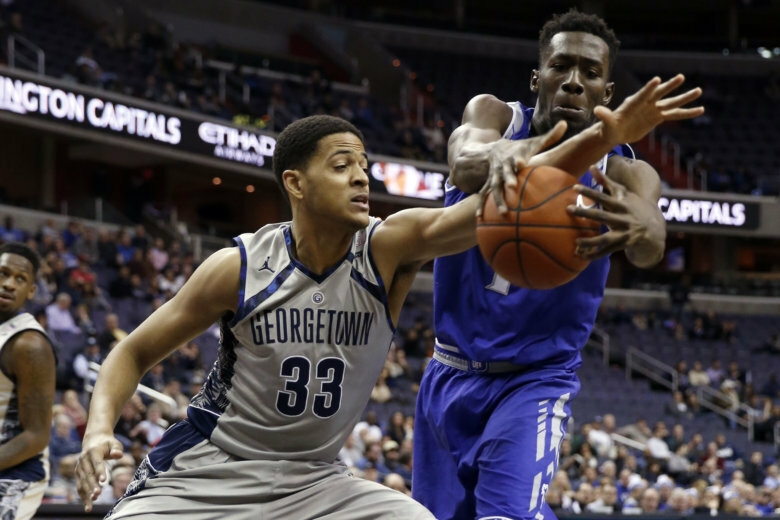 Georgetown (5-1) led all the way but saw a 22-point lead nearly evaporate in the final six minutes of the game. Campbell’s prolific Chris Clemons — the nation’s top scorer — went off for 45 points, tying his season high, 27 coming in the second half when he hit five of his nine 3-pointers and the Fighting Camels (3-3) came as close as six, 89-83, with 12 seconds left. Akinjo was fouled twice in the final seconds and made all four, finishing with 17 points and a perfect 6-for-6 at the foul line. Trey Mourning led with 27 points, 12 rebounds — both career highs —and three assists. Mourning’s father, Hoya and NBA great Alonzo Mourning was in the stands.